COMPETITION TIME!! In association with Hungry Jack’s Pizza. 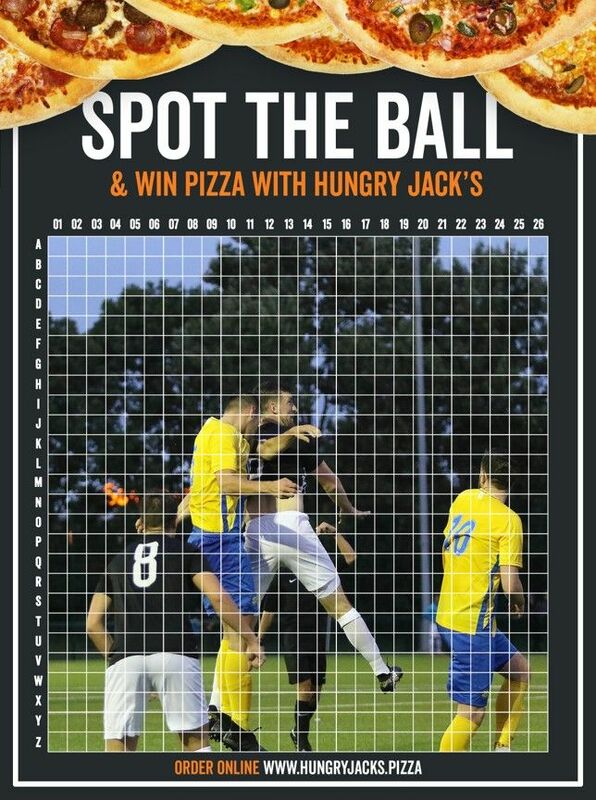 Spot the centre of the ball for a chance to win ANY 2 x 12″ pizzas of your choice and 2 x match tickets to our next home game! Put your guess in the comments section using the special grid provided…. The competition closes at 9am Saturday morning and the winner will be announced soon afterwards.